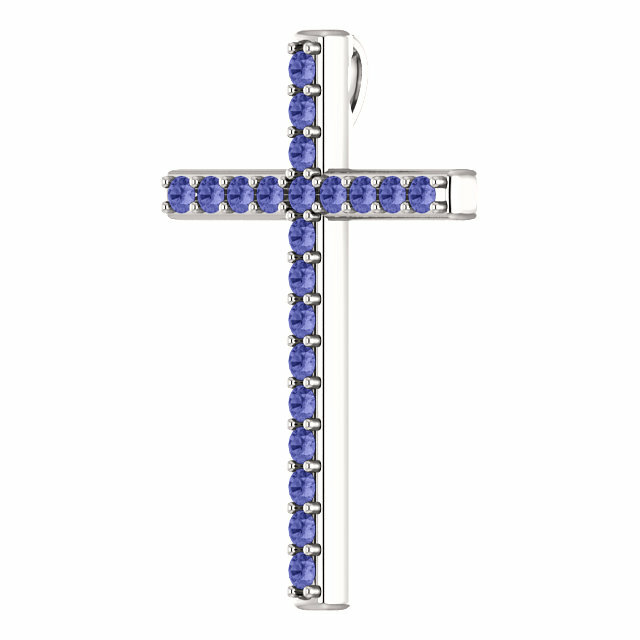 The beautiful tanzanite in this white gold cross pendant is a beautiful and a reminder that Jesus created every thing, from gemstones to gold and all things contained in the material world. He is the Alpha and the Omega, the Word of God, and the Creator of the universe. In Revelation 22:13, He says: "I am Alpha and Omega, the beginning and the end, the first and the last." 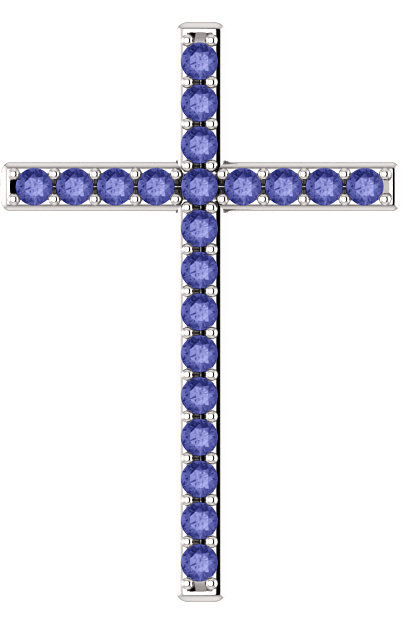 The cross is set with 21 "A" rated 2mm size authentic tanzanite gemstones and is available in your choice of 10k, 14k, or 18k white gold or platinum (please allow an additional 7 days for platinum orders). Also available in yellow gold or sterling silver, shown below. The cross measures 1 1/4" tall x 0.85" wide and includes a "behind-the-scenes" bale/hoop which is concealed for aesthetic beauty when wearing the pendant. Add a matching solid white gold cable chain necklace to the cross or wear it with any chain of your choosing. 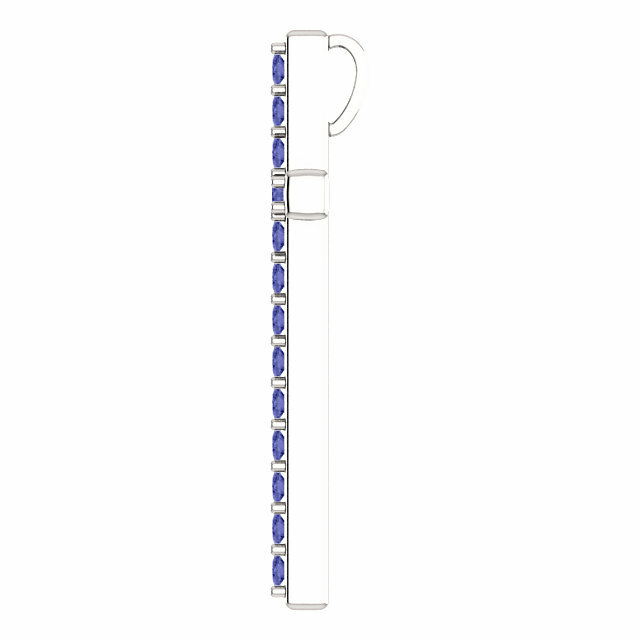 We guarantee our Alpha and Omega Tanzanite Cross Pendant in White Gold to be high quality, authentic jewelry, as described above.